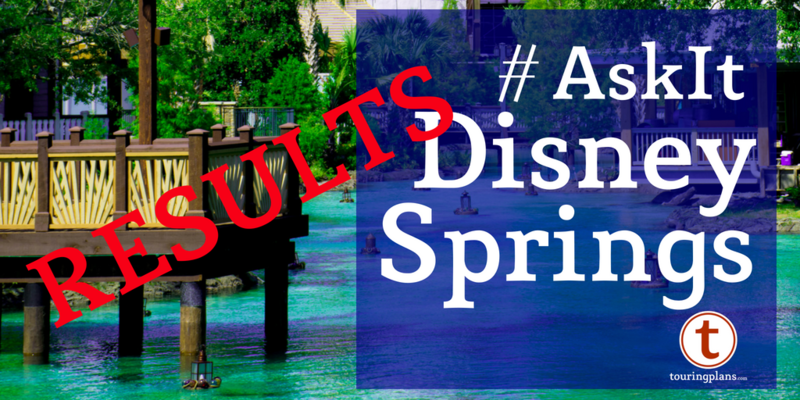 #AskIt Results: Why Go To Disney Springs? Four great reasons to go to Disney Springs. 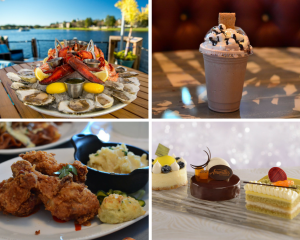 Dining reigns supreme at Disney Springs and it’s no wonder why. There is a higher concentration of restaurants here than anywhere else on property. Not only does Disney Springs compete well in quantity, it’s up there in quality. The BOATHOUSE and Chef Art Smith’s Homecomin’ get a 90% and 92% thumbs up rate from our users. In just the last few months The Edison, Maria and Enzo’s, Enzo’s Hideaway, and Wine Bar George have opened. And Jaleo and Wolfgang Puck Bar & Grill are coming soon. If a full sit-down meal isn’t what you’re looking for, D-Luxe Burger and The Daily Poutine are a step above your usual counter service meal. And you can’t forget dessert – Amorette’s has pastries that taste as good as they look. You can definitely get your shopping on at Disney Springs. For a one-stop visit, go to World of Disney. Or look for dedicated Star Wars and Marvel storefronts on the West Side. In addition to Disney-owned stores, there are plenty of third-party retailers at Disney Springs. And some, like Uniqlo and Kate Spade, have their own Disney lines available for sale. 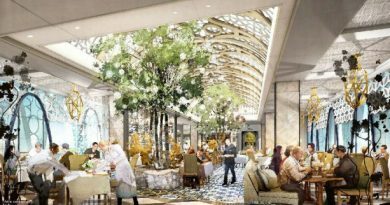 We had some readers not so happy that Disney Springs is “just a shopping mall,” but as a traveler who’s had to pick up everything from new earbuds to just the right shade of MAC lipstick while on vacation, I’m grateful not to have to leave Disney property to find what I’m looking for. At the bottom of the list were drinking and entertainment. That may explain the death of Pleasure Island. But if you’re dining at one of the great Disney Springs restaurants and looking for something to take the edge off, you’re in the right place. The third-party restaurants aren’t hamstrung by the notorious Disney Standard Bar menu (would you like a light-up cube with your overly sweet drink?) and as such serve some really nice cocktails. As for entertainment, we all know Cirque du Soleil and DisneyQuest are no more (Cirque will return in the future with a new show). The NBA Experience will open sometime in 2019. But if you’re me that’s right up there with “The Root Canal Experience” as far as entertainment value. What is really fun is the Star Wars Secrets of the Empire at The Void. Do yourself a favor and book it next time you plan a trip to Disney Springs. Falling completely off the list were those of you who replied there’s “no reason” to go to Disney Springs. I wish someone would tell that to everyone else there when I’m trying to find a spot in the Lime Garage next time. Thanks for voting and don’t forget to check out this week’s poll. Laurel has been visiting Walt Disney World since 1971 when she was negative-15 years old and running the Disney races since 2007. Her favorite attraction is Big Thunder Mountain.